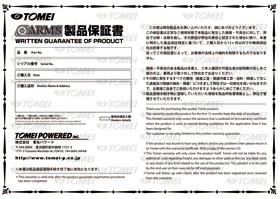 ↑ Click on the above picture to enlarge. 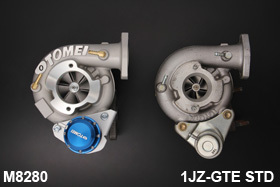 Specifically For The 1JZ-GTE Engines. The 450+ HP Bolt On Turbo Kit. 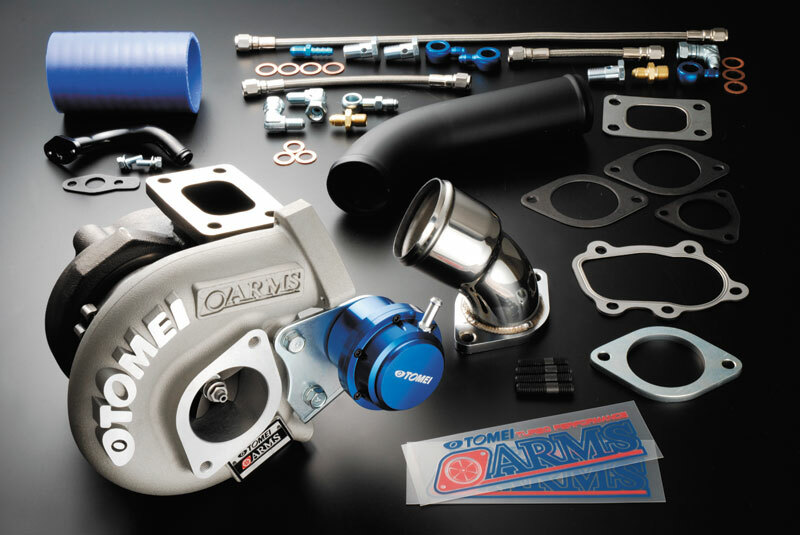 With the main points addressed "Outstanding Performance", "Reliability" & "Affordability", our new ARMS Turbos gets a warm welcoming by end users. 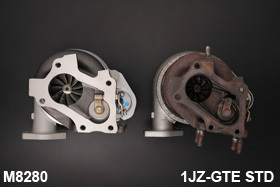 After passing all the extensive extreme testing phases, the long awaited 1JZ turbo is now here! Each component from the turbine, compressor & the center housing has all been designed to deliver the best all round balance of performance. 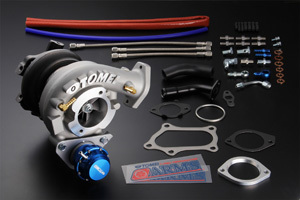 This Turbo comes complete with the special Tomei compressor housing as well as our special Forged Billet Blue Actuator. Both the Torque & Power gains characteristics were made possible from the extensive amount of R&D and testing time that we have invested with the design process. Each component was optimized, without compromise. 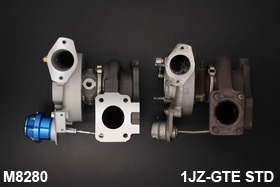 Completely designed specifically for the 1JZ engine. 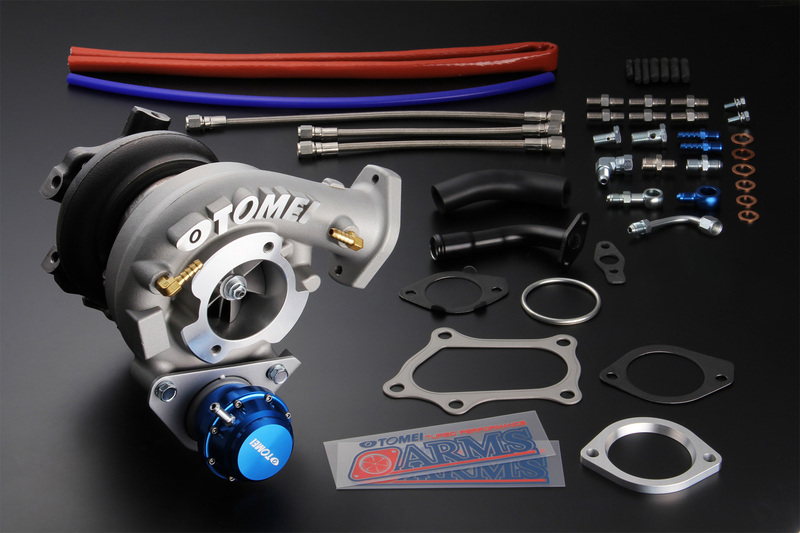 Designed to deliver great performance for all kinds of conditions, Street, Track and Drift, for an all round "Fun" Performance Turbo Kit. Repair Parts For Rebuilds & Overhauls. All the housings made with different materials of metal were first closely examined and tested for energy absorption, friction, and cooling capabilities. The most ideal components were designed and utilized. Our all new Billet Aluminum actuator is designed for added strength. This will give that extra support when needed for higher boost applications.